Isn't this amazing handwork? 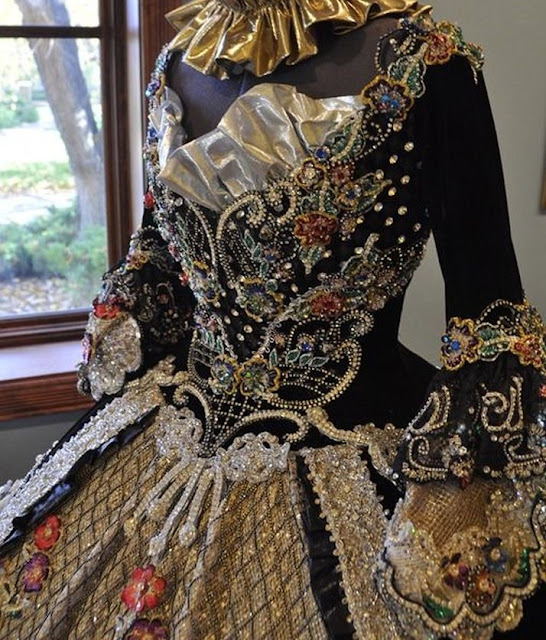 This ball gown was designed by Linda Leyendecker Gutierrez and Niti Volpe. To find more beautiful gowns and jewelry, follow me on Facebook through the link below. To find more fabulous gowns, follow me here.